The 10 Best Mexican Restaurants in Oklahoma! When you think of Mexican food, the first thing that comes to mind might be tacos, but the cuisine of our neighbor to the South encompasses so much more than just the ubiquitous street food. No matter the kind of Mexican flavor you’re searching for, Oklahoma will offer you the real deal. Here are the 10 best and truly authentic Mexican restaurants in the state. Ted’s is an excellent pick if you’re looking for some classic Tex-Mex. Their tortillas are among the best ever. 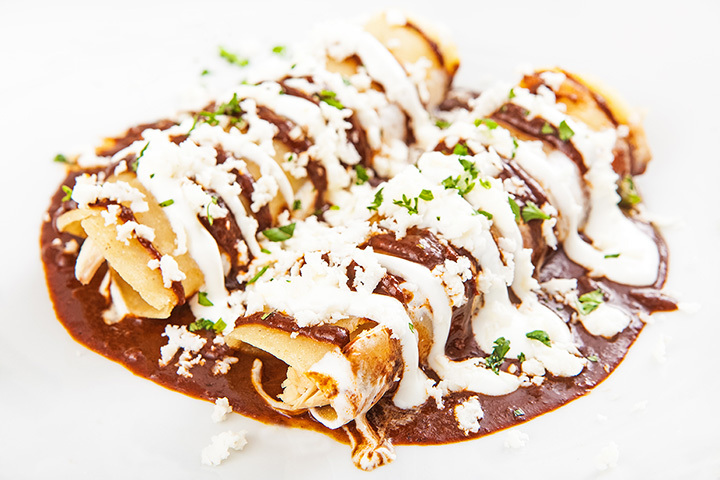 Instead of the traditional rice and beans, get the corn con crema and pappas Mexicanos for a different treat. The Mexican fish soup is wonderful when the weather is cool. But in the summer, you’ll want to get something cooler, like ceviche. But really, you can’t go wrong with anything you pick from this menu. Mama Roja has a wonderful weekend brunch menu, but the beef brisket burrito wins our vote, hands down. For a summer treat, try the mango chicken salad. Make a special trip to this casual restaurant near Automobile Alley. You’ll find more than 200 kinds of tequila, along with unique dishes that taste authentically Mexican. We’re big fans of places that use local farmers, and Elote is a favorite. The Grande Sweet Corn Tamale is a perfect lunch dish, but the puffy tacos should be on your list to try, too. The fried avocados are a real treat, but might be a little heavy for summer. Los Cabos has a nice selection of Americanized Mexican favorites, like a cheeseburger burrito, and it has some more authentic Mexican cuisine. Since 1973, Tio’s has been serving Mexican cuisine, made from scratch every day. It’s a great place to try something new. This restaurant has a history of more than 60 years on Route 66. “Taco USA” named the Night Hawk one of the “Five Greatest Mexican Meals in the U.S.” Look for the historic neon sign to find great enchiladas and margaritas. Original selections to give you an authentic dining experience, you’ll find some unique meats here. This place is highly recommended, and you must order their fish tacos! The food at La Luna is made-from-scratch and very tasty. Another local favorite that’s owned by a local family committed to the community.